Planning and decision-making center: The office formulates various types of plans and policies regarding production, sales, cost, profit, and loss. It makes different types of the decision like changing the amount of capital, objectives, rules and regulations of the office. Coordinating and communicating center: The office is important due to its coordination and communication functions. It links the activities of different persons and department and directs them towards the attainment of organizational goals. It passes useful information to the staff and departments inside the organization and to the concerned parties outside the organization as per their requirements. Controlling center: The office is regarded as the controlling center of the organization. It supervises and evaluates the performance of different staff and departments. It compares the actual performance of different staff and departments with the standard performance and takes corrective action to minimize the variations in future. Public relation center: The office maintains good public relation for operating its business successfully and increasing the goodwill of the organization. It provides accurate and reliable to all the concerned parties as per their requirements. It provides better services to customers, suppliers, lenders, owners, competitors and government in order to maintain good relation with them. Proof of existence: The office is the proof of the existence of an organization. It gives the identity of the organization. It gives evidence that the organization is operating its business in the society. Record center: The office is considered as a storehouse of information. It records important and useful information for future reference. It maintains a systematic record of information and documents in files, books of accounts, computer, etc. Service center: The office is regarded as a service center of an organization. It provides necessary materials and information to the employees and departments increase the efficiency of employees and department. Every organization forms an office to perform its activities in an efficient manner for achieving the organizational goals. Nature, size and duration of the office depend upon the volume of activities and objectives of the organization. 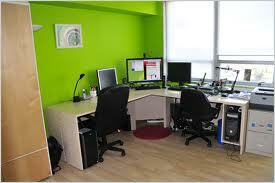 The organization which has limited human and other resources forms a small sized office. Similarly, the organization which has the objectives of producing and distributing good and services over a long period of time from a permanent office. A permanent office is also known as the long term office. It is established for the production and distribution of goods and services over a long period of time. Its activities are not time bounded and its objectives are not sought within the specified time frame. Usually, the size of the permanent office is large with a large number of employees, a huge amount of capital and assets. Its files and transactions are voluminous. Ministries, departments, public enterprises, joint stock company, hospital, school, etc. from the permanent offices for operating their activities. Temporary office for completing a particular job: It is such type of temporary office which is established for the completion of a specific job. After the completion of such specified job, the office is automatically closed. The office formed for constructing building, canal, road, bridge is some examples of the temporary office. Temporary office for a specific period: It is such type of temporary office which is established for the specific period of time. After the expiry of such specific duration, the office is automatically closed. Hence, such office exists till the period exists. The offices are formed for conducting seminar; workshop and training are some of the examples of such temporary office. The office of different commissions established for investing and reporting about different incidents within specified time frame are other examples of such office. A temporary office is one which is completing a particular job or producing and distributing goods and services for a specific period of time. The office of an organization is the most important unit. It is regarded as the mainspring of a watch and steering of a car. It essential to perform a number of administrative as well as clerical functions in the process of achieving the organizational objectives. A process of deciding in advance about the course of actions is called ______. A permanent office is also known as ______. Temporary office is also known as ______. "Office is a place where clerical operations are carried out." Who said this? Which one of them is the feature of an office? Any Questions on 'Importance of the Office '?